Nokero International's new solar AA battery charger is designed to help reduce the waste of billions of batteries each year. 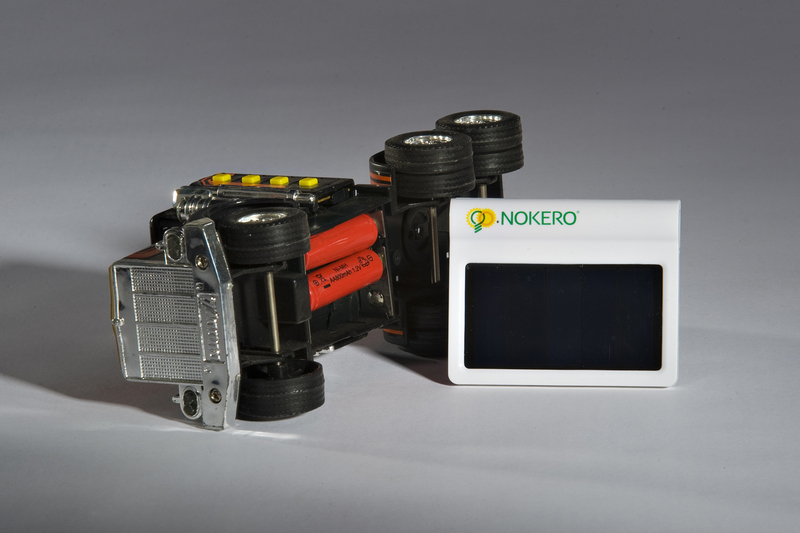 The Nokero C110 Battery Charger can recharge AA batteries using the power of the sun. We have a great opportunity here to save energy and reduce waste on a massive scale. Solar-powered battery charging took a giant leap forward today as Nokero International introduced its small, sleek, and high-tech C110 solar battery charger. The C110 uses the power of the sun to restore power to rechargeable, recyclable AA batteries. In the United States alone, more than 3 billion dry-cell batteries are purchased each year to power radios, toys, cellular phones, watches, laptop computers, and portable power tools. More than 2.9 billion of those batteries are thrown away each year (source: Environmental Protection Agency, http://www.epa.gov). 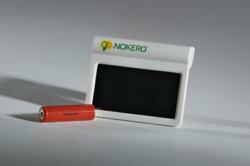 The high-tech solar innovation comes with its own Nokero brand, rechargeable, recyclable, high-temperature, AA battery. The C110 works best with a Nokero battery, but it will work with any rechargeable AA battery. Simply place the battery inside the product's battery bay, then set the rainproof C110 out in the sun. It's top-of-the-line, high-quality solar panel won't crack and blister like some cheaper panels, so it can recharge batteries for many years to come. Use it to recharge batteries for your TV remote, toys, games, or for use in one of Nokero's world-renown solar light bulbs. The average American family uses about 32 batteries a year (source: http://www.usbcell.com), but the C110 offers families the chance to help save the environment, and save money. Battery power costs about $160.23 per kilowatt hour, about 267,000 percent more than normal household electricity (source: usbcell.com). The C110 can harness the power of the sun to save families the money spent on batteries each year by giving them access to the virtually unlimited power of the sun. The product retails for $14 USD at http://www.nokero.com.